What Is A School Development Plan? This is one of our key documents in school and drives what we do everyday. 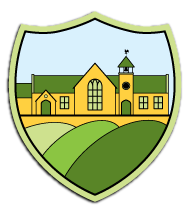 The school development plan details what all staff are working on in our relentless drive to raise standards and achieve our vision for The Meadows. We like to keep things simple as we know that too many targets slow down our progress; therefore, we keep the key issues in our School Development Plan to three or four big areas per year. These are the key things everyone is working towards; however, individuals or groups will be also working on their own areas too in order to achieve our vision for The Meadows. How Are The Key Areas Decided Upon? Many factors contribute to the key areas of the School Development Plan. These include: the vision set by the Head and Governors, OFSTED reports, external monitoring, data collected by the school and the school's self evaluation of strengths and areas for development. The views of the parents and children are also taken into account through the Parent Questionnaire. What Are The Key Areas This Year? 1.To improve the outcomes for all groups of pupils, through the use of the concrete, pictorial and abstract approach. 2.To further develop cognitive challenge by inspiring and igniting pupils' imaginations, through their reading experiences across the curriculum. 3.To implement and embed, a revised online safety curriculum, which both provides and educates pupils against the following areas of risk: content,contact and conduct. 4.To develop pupils' characteristics as scientists and their greater depth of knowledge, understanding and skills. 1.To raise the attainment of all pupils in Mathematics, by developing their ability to fluently recall number facts. 2. Further strengthen the effectiveness of the Governing Body to support and challenge the school and fulfill its duties within the Shaw Education Trust. 3. Enhance opportunities for pupils to have a ‘voice’, take on responsibility and develop leadership skills. 4. To enhance the reading opportunities and culture across the school. 1. To develop the provision and the recording of learning in foundation subjects. 2. To fully embed Mathematics across the curriculum. 3. Continue to embed the revised English curriculum and assessment procedures. 4. To develop recording opportunities in Early Years, so that the depth of learning is evident through the level of challenge.